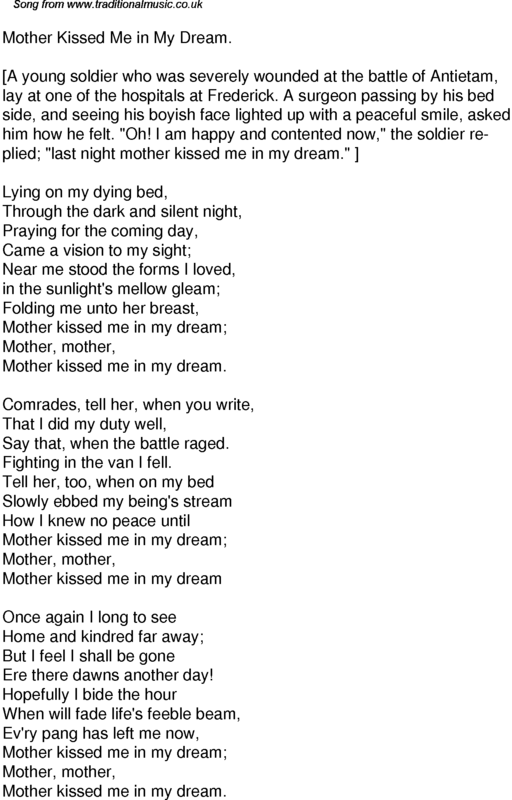 Mother Kissed Me in My Dream. Say that, when the battle raged. Fighting in the van I fell. Ere there dawns another day!